Air8 Palm. Our Air8 palm is unique in that it allows airflow into the glove for superior comfort but the air8 breath holes also increase grip and feel between the bar and hands. Thumb Panel. There is nothing worse than having hold of the bar and having that annoying stitching along your thumbs rubbing! We have eliminated this stress with our strategically placed thumb panel. Stretch Fabric. Our Elite Gloves are made utilizing a super strong and super stretchy upper hand panel for one of the best feeling gloves on the market. Sublimated Graphics. Don't be boring! Live and Race LOUD in our custom designed and sublimated gloves. Velcro Closure. 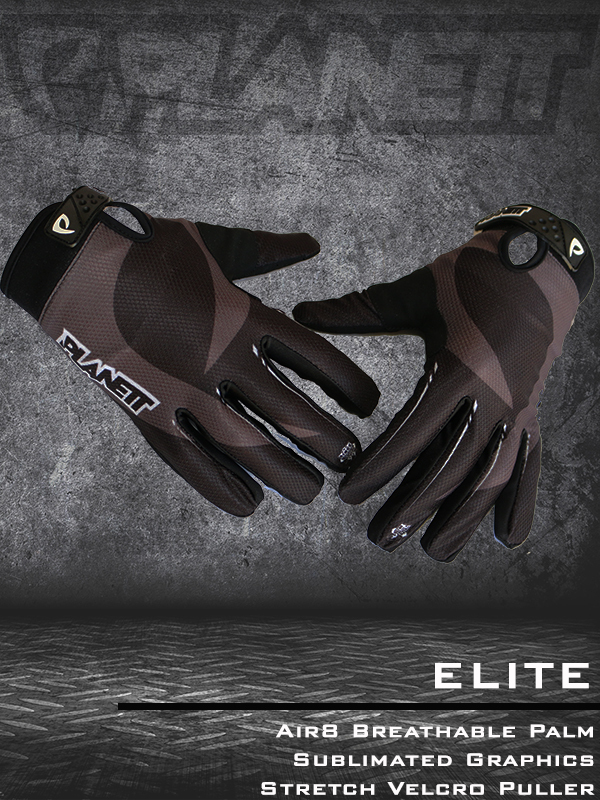 Velcro closures offer extreme comfort due to the ability to adjust the tension from glove to wrist..